Mardi Gras in Honolulu, Hawaii. Photo/madmarv00 Licensed under Creative Commons. In many places around the world, Carnival or Mardi Gras celebrations will be in high gear this Sunday, as people live it up during the final days before Lent starts. I wasn’t aware that for centuries the Church has called it Quinquagesima Sunday, the last of three Sundays before Lent that were designated as a time to prepare for the penitential season. Mardi Gras, or Fat Tuesday, is named for the custom of slaughtering and feasting on the fatted calf as the last indulgence before fasting and abstinence begin on Ash Wednesday. It’s the climax of Carnival (which means literally, taking away flesh) a festive season starting at Epiphany in many countries. In England the day before Ash Wednesday is called Shrove Tuesday–the final day of Shrovetide (taken from the word “shrive” which means to confess). It refers to the week before Lent when the laity was encouraged to go to confession, according to the Anglo-Saxon “Ecclesiastical Institutes.” Germans celebrate Fastnacht, the eve of the fast. Even centuries ago, Carnival and Mardi Gras revelry tended to get out of hand and the Church tried to check the excesses, especially in Italy. In the 16th century, Forty Hours of prayer was established on the final days of Carnival, partly to draw Catholics away from dangerous occasions of sin and also to make reparation for sins committed. In 1747, Pope Benedict XIV granted a plenary indulgence for those who participated in Exposition of the Blessed Sacrament during three days of Carnival. This leads me to Quinquagesima Sunday. The Latin word for 50th, it marks exactly 50 days before Easter. In the past, it was observed as the third of a three-week countdown starting two weeks earlier with Setuagesima (70th) Sunday followed by Sexagesima (60th) Sunday, referring to the approximate number of days until Easter. The numbers are more symbolic than actual mathematical realities. This isn’t meant to be a lesson in Latin ordinal numbers (Lent itself is called Quadragesima meaning 40th) but to make us aware of the time period we’re entering. Something like Carnival was probably already going on when Greeks in the early Church practiced a pre-Lenten penitential season to get in the right frame of mind for Lent. Early Christian communities followed the Greek tradition when they named the three “gesima” Sundays for the start of their Lenten fasts. When Pope St. Gregory the Great made the practice of Lent uniform in about 600, he marked these Sundays as reminders of the approach of Lent so Catholics could prepare. Clergy wore violet vestments on these Sundays. While the Church no longer observes the “gesima” Sundays as part of the Ordinary Form of the Roman Rite, they are still found in the 1962 Roman Missal and are observed as part of the Extraordinary Form. They’re a good reminder that we should start thinking about Lent now so it doesn’t take us by surprise before we’ve had a chance to prepare mentally and spiritually. There’s nothing wrong with killing the fatted calf on Mardi Gras but it’s even better to be ready for what comes on the day after: an opportunity to grow closer to the Lord through prayer, fasting and almsgiving as we prepare to commemorate His Passion and Resurrection. Although fasting isn’t easy, its spiritual benefits are available to Catholics all year, not just when it’s required on Ash Wednesday and Good Friday. Even though Ash Wednesday is months away, I’m bringing this up now because earlier this month Jews fasted from food and drink for 25 hours in observance of Yom Kippur or the Day of Atonement, the most important day in the Jewish liturgical year. This fast, which is noted in the Bible is the climax of 10 days of penitence starting with Rosh Hashanah. In biblical days, Jews also weren’t supposed to wash or wear shoes during this fast. Shoes don’t enter into the Catholic definition of fasting, which is the “complete or partial abstention from food.” Another root of the word means to hold, to keep, to observe or to restrain one’s self. The Latin root word is of an animal intestine which is always empty. Fasting has been practiced since ancient times for a variety of reasons, including deliverance from calamity and mourning. The Church’s fasting rules are pretty clear: Catholics from their 18th birthday to their 59th birthday (the beginning of their 60th year) are to reduce the amount of food eaten from normal. The Church defines this as one meal a day, and two smaller meals which if added together would not exceed the main meal in quantity. This fasting is required on Ash Wednesday and Good Friday. The fast is broken by eating between meals and by drinks which could be considered food (milkshakes, but not milk). Alcoholic beverages technically don’t break the fast but they don’t quite fit with the spirit of doing penance. Fasting makes sense all year long. Not that we have to do it year round but the Church encourages us to do some kind of penance. It could be fasting or giving up something else we enjoy to grow in holiness, for a special intention or in thanksgiving. Should we keep ashes on our forehead all day on Ash Wednesday? A few people I know have pointed out what seems like a contradiction related to Ash Wednesday. In the Gospel for that day we’re told to avoid drawing attention to ourselves when we do good works: “[But] take care not to perform righteous deeds in order that people might see them; otherwise, you will have no recompense from your heavenly Father.” (Matthew 6:1). But then immediately after that, the priest marks a cross on our foreheads with black ashes. Even though it often ends up looking more like a black smudge than a cross, it’s hard to disguise the fact that you’ve received ashes on Ash Wednesday. If you go to Mass in the morning or during the day, you have a dilemma: Do you keep the ashes on your forehead and let everyone know you just went to church or do you wipe them off so as not to draw attention to yourself? It all depends on your motivation, according to Father John Gallas, pastor of SS. Peter and Paul in Loretto, and Father John Paul Erickson, director of the Office of Worship in the Archdiocese of St. Paul and Minneapolis. We can reveal our faith in different ways such as by wearing a crucifix or even by taking a stand on a moral or ethical issue, he said. This fulfills another thing Jesus says in the Gospel: “Let your light shine before men, that they may see your good deeds and praise your Father in heaven” (Matthew 5:16). Receiving ashes isn’t a good work but a visible sign of sorrow for our sins, Father Erickson said. In the Old Testament, penitents wore sackcloth and ashes to publically atone for sin, he said. The king of Nineveh ordered all residents to wear them after the prophet Jonah foretold mass destruction, and King David wore sackcloth and ashes after committing serious sin, he added. 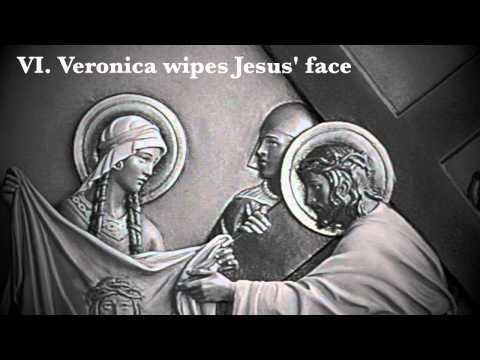 Europeans Catholics may avoid the question of whether or not to wear ashes because the tradition there is to sprinkle them on the head rather than mark a cross on the forehead. That’s how Pope Benedict has received them. Receiving ashes on the forehead is one way we enter into the penitential nature of Ash Wednesday together. Prudence should dictate whether we keep them on or wipe them off after Mass. Ashes aren’t anything to hide but they’re nothing to boast about either.